Less than 24 hours after suffering the program’s worst loss in four seasons, the Ohio Bobcats played with a vengeance and defeated Depaul 99-78 in the consolation round of the Hawaiian Airlines Diamond Head Classic. The Bobcats shot 59 percent from the field and tallied more points (55) in the second half than they scored in the previous day’s 28-point defeat (49) to George Washington. 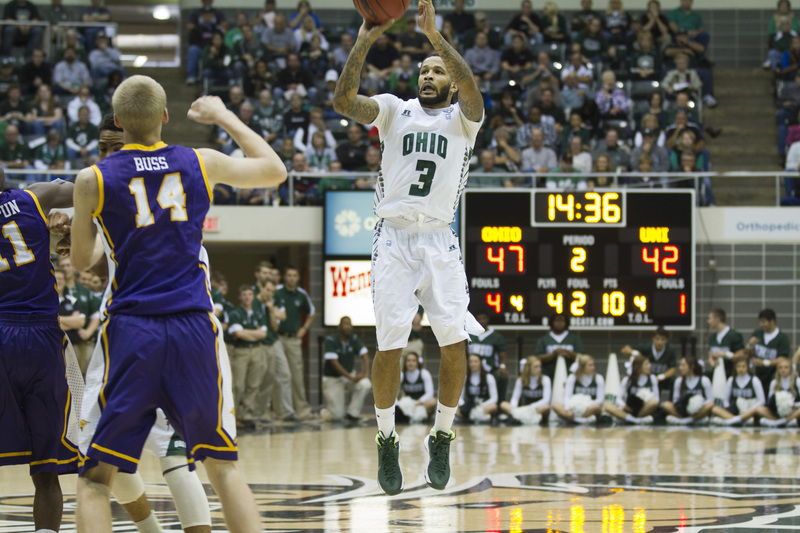 Willis led Ohio with 31 points, a career-high for the senior guard. Maurice N’dour and Tony Campbell both recorded double-doubles with 15 and 10 points respectively and 10 rebounds each. Treg Setty had a career-high 17 points, making seven of his nine attempts, and added 9 boards. Freshman guard Ryan Taylor also added 17 points in Ohio’s victory. The ‘Cats outrebounded Depaul 38-29 in the victory and forced 15 Blue Demon turnovers. Depaul (6-6) shot 41 percent from the floor and were led by Darrick Wood’s 15 points off the bench. Ohio (4-5) pulled away late in the first half with an 11-0 run that gave them a 14-point lead at the half. The Bobcats never led by less than 11 for the remainder of the game. The win means that the Green & White will play Nebraska game on Christmas Day at 4 p.m.. Saul Phillips will face his good friend Tim Miles. Phillips served as Miles’ top assistant at North Dakota State, before taking over as head coach when Miles left for Colorado State.